If you're anything like me, you struggle to wash your face without the help of a face cloth. When I find myself without one, I get water everywhere - and end up leaving cleanser on my face. Not ideal! Over the past year, my mum and I have gone a little overboard with flannels. Just the other day she called me into the bathroom, laughing. Our flannel basket was piled about a foot and a half high in a pyramid formation, with each flannel neatly rolled up. I personally like to use a fresh flannel each time I wash my face. Now do you see why we have so many?! Moving on from the flannels.. muslin cloths. I first tried a muslin cloth at the beginning of last year, when I first purchased Liz Earle's Cleanse & Polish. A third one came my way with my first Emma Hardie Cleansing Balm. I loved the way they made the cleansing process seem a little more sophisticated, and feel more luxurious.. I always find my skin feels softer and looks brighter after cleansing with one. 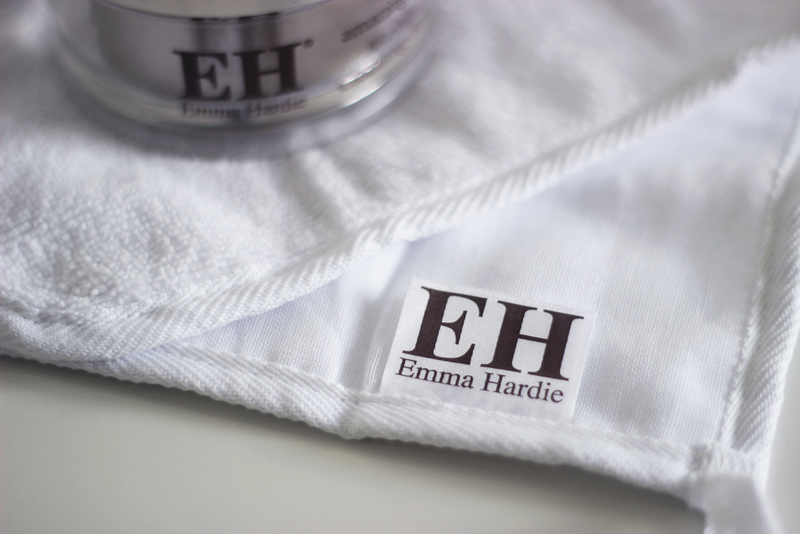 Having said all that, and leading to the main point of this post - Emma Hardie's face cloth is my new favourite thing. The soft flannel side allows you to get enough water on your face, and the muslin side is perfect for gentle exfoliation and ensuring every drop of cleanser is removed. Whoever came up with this fantastic idea? It's great to hear that the muslin cloth has been replaced with a flannel instead as they never feel as good in my opinion. I'm still yet to try this cleanser.